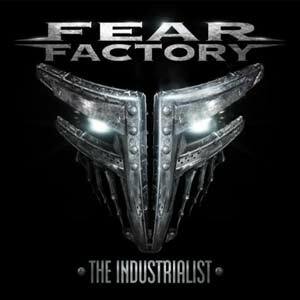 Fear Factory The Industrialist Cover. This is Fear Factory's newest album cover. This album will be out on 5'th June 2012.. Wallpaper and background images in the Fear Factory club tagged: burton c. bell dino cazares rhys fulber byron stroud christian olde wolbers raymond herrera matt devries. This Fear Factory photo contains pectoral, auspicios, egis, peto, égida, and aegis. There might also be placa de blindaje, blindaje, armadura de placas, armaduras de placas, placa de armadura, blindaje de armadura, armadura de placa, armadura, celada, salade, ensalada, fauld, and fauld s.